The demo songs are performed by Jean-Michel Bernard (former composer for Ray Charles, film music composer) and Romain Collin, a very talented jazz French piano player based in NYC. 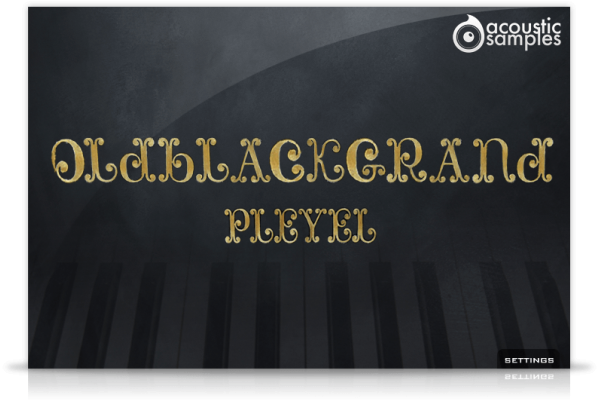 The OldBlackGrand is now in V3 and inludes many new features to make it one of the most complete pianos on the market. 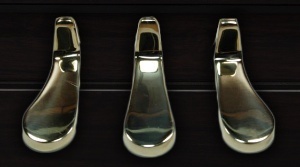 There are two kinds of resonances that are important to model on a piano, the pedal down resonances and the sympathetic resonances between the held notes. Both these effects are present in the OldBlackGrand, you can even change the amount of each of them. 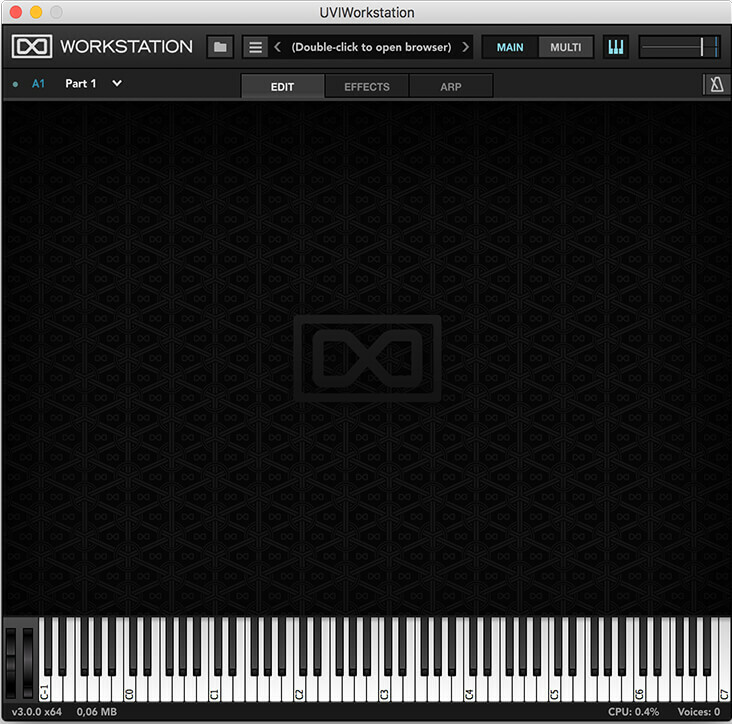 OldBlackGrand comes with its own sample player, the UVI Workstation 3 (requires v3.0.0 or later). 12.89Gb uncompressed, 2Gb compressed in lossless flac format, around 3000 samples. I am so impressed of how this sounds. The beauty of this instrument by AcousticSamples it's just irresistible. 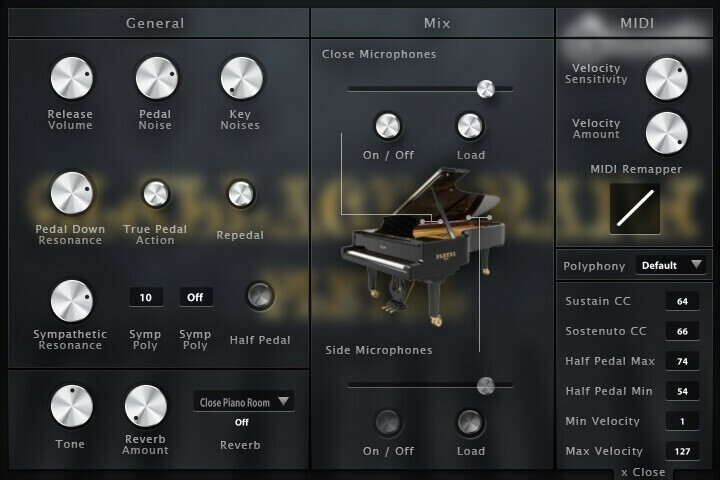 I have tons of different piano VSTs, and so far, this is my favorite one which I will use for every single application. It's hard to believe that an old pleyel grand can sound even better than many of the famous grands out there; you don't want to believe it. But at the end of the day you say to yourself: hey, maybe this is one of those secrets that some great piano players have out there, and they don't want to tell you. I was comparing it with a piano that I hear in some great recordings, and wow this is it. Yes, this is it. It sounds rich, sweet, big and bold. 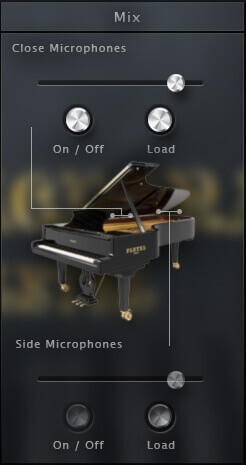 Not just that, this gives you the illusion that you are playing a real piano! You can feel the vibration of the strings inside of the soundboard, and I don't know, there's something very special with this VST. It sounds rich, sweet, big and bold. Not just that, this gives you the illusion that you are playing a real piano! You can feel the vibration of the strings inside of the soundboard, and I don't know, there's something very special with this VST. There is something unique about the tone of a high quality piano of this vintage, that modern pianos can't capture. The aged soundboard of a handcrafted piano such as the Pleyel sampled here is a beautiful thing. This sound breathes and sings like very few other virtual pianos - you can really get lost in the music. 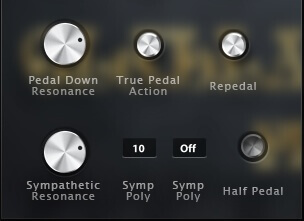 With all virtual pianos I own, adjusting the velocity volume, dynamics and velocity curve is essential to bring out the best tone, dynamics & responsiveness. Default settings often sound flat on my setup (Yamaha CP4 Stage), but once matched to the keyboard velocity & touch, they really open up and sound/feel much better. The Old Black Grand benefited greatly from this process, although it was much easier & quicker to find the "sweet spot" with the settings. The upper register is stunning, and the resonances absolutely beautiful and authentic. UNIQUE and INSPIRING! Fantastic Sounds! These samples are really top notch and blows away most workstation and sampling keyboards. Not only is this product awesome, the customer support is better than any I've ever encountered. 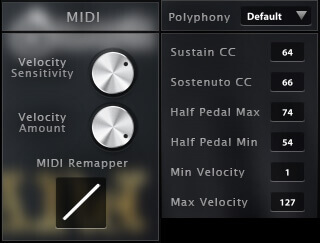 I had a couple suggestions and an issue, they not only responded quickly, they ended up editing their program to fix the issue and added a volume adjustment tool for every key in case certain notes were strangely louder than others. Absolutely amazing.